Here are the top 10 most viewed posts of 2012. It has been a remarkable year. Enjoy the look back! 8. Best Small Group Ice-Breaker Ever? With 615 views this year, this post has reached a bigger audience than our church alone. I praise God for what it may contribute to the worshipful experience of small groups around the world. Making communion common has been a tremendous growth area in the worship and relationships of Lake City Small Groups. Praise God. 1. The 2nd annual Lake City Family Summit happens Saturday, January 12, 9:00AM-1:00PM. NFL quaterback Jon Kitna and his wife Jen will be our primary speakers, along with several breakout sessions. As usual, the small group leaders training will be contained in one of those 50 minute workshops. How small groups fit into the BIG picture of the church as God’s Family is an exciting major theme for this year’s summit. Don’t miss it! The Bible says very little about how we are actually to go about observing communion, yet most Christians have strong preferences, if not convictions, about how to do it. I want to expand your thinking in one area — observing communion regularly in your small group. As we will see, this is more than just a good idea. 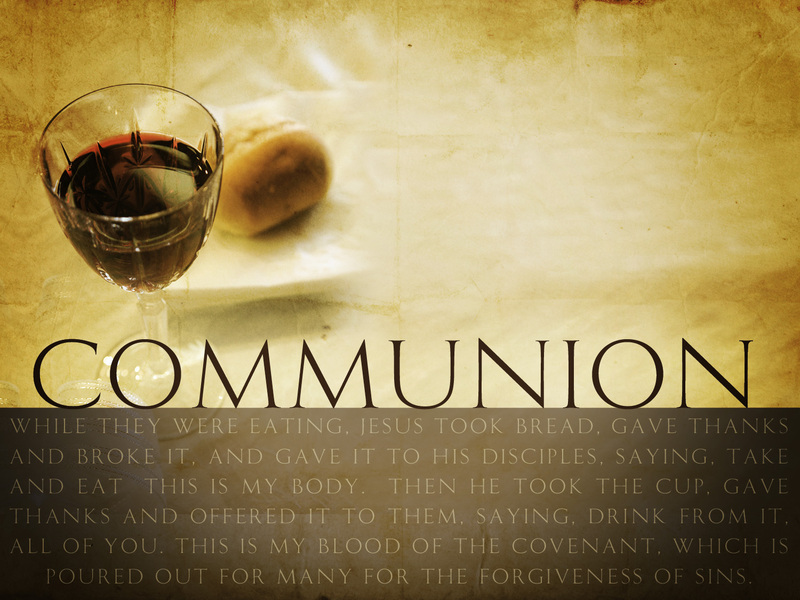 Most of us (assuming an audience which holds the “symbolic” view of communion) have observed communion primarily in corporate gatherings, with a short message and Bible reading from the pastor, followed by a collective ingesting of a wafer and a small plastic cup of grape juice. Let me say, I have no problem with the wafer and grape juice! Observing communion in this way has been a major part of my life’s spiritual formation. But my strengthening conviction is that small group members should observe communion together at least once per semester/term. At LCCC, we view small groups as not just another ministry or Bible study, but as the “church scattered,” in homes, throughout our community, engaging in directives of church which are not possible in a corporate setting: knowing, serving, loving, taking care of each other; digging in and applying Scriptures together; obeying the Great Commission together; having things in common; bearing each others’ burdens; and “being devoted to the breaking of bread and prayer” (Acts 2:42-47). Is it wrong, then, for us to observe communion without a meal? Well, no. One of Christianity’s unique characteristics is the freedom Scripture gives regarding church polity and practices; freedoms which enable Christian churches to thrive and transform culture anywhere, at any time, on the planet. Additionally, in 1 Corinthians 10 Paul does allude to the bread and cup without a meal (10:16-17) and in chapter 11 even tells them to STOP the meal because they were abusing it! So, the meal is not required, nor should it replace the Lord’s Supper as the focus of our gathering. But, would it be appropriate; constructive; healthy for us to observe communion more as the New Testament Church did – as part of a relational, worshipful meal together? That is the more important question. And I believe the answer is a most definite YES! So, to help you lead your group in communion this very semester, here are some guidelines for leaders or any spiritually mature member of a small group who wishes to lead. 1. Don’t be intimidated by this! You are already viewed as a “shepherd leader,” and this is one of the most significant and joyous acts Jesus gave us to do together. Second, from the engaging little book, Going to Church in the First Century, which I have given to all of our small group leaders, below is a copy of the pages which I used to lead my own group in communion just a couple weeks ago. 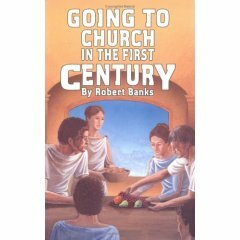 After explaining the premise of this book – the observations of a young man on his first visit to a house church – I passed around the elements and read the following pages, followed by the 1 Corinthians 11 verses. We then “ate” and “drank” in celebration of the gospel as part of our meal together. It was a fun and worshipful experience. If this appeals to you, I encourage you to try it at your group’s next meal together! 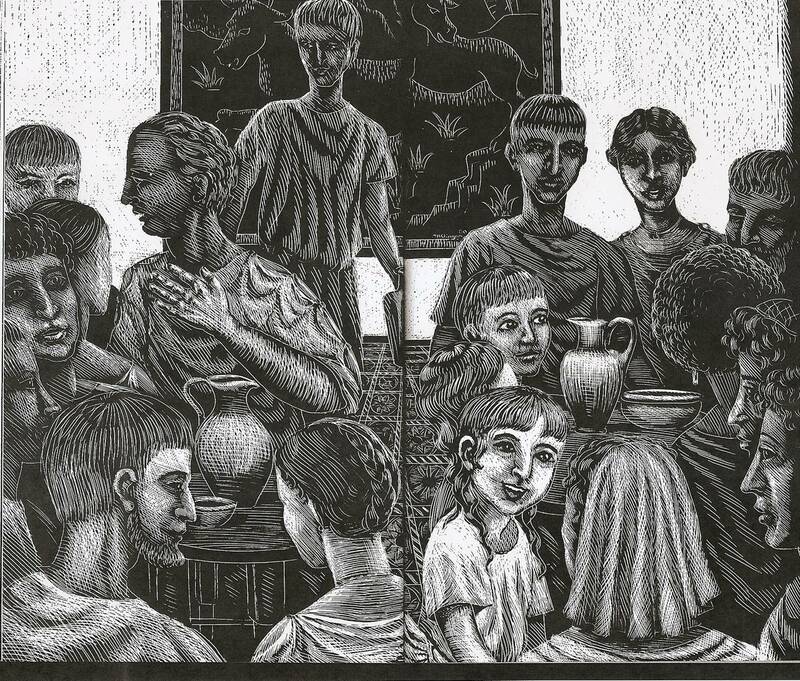 Before we began to eat, however, Aquila took up a cob of bread which his wife had laid on the table before him, and said he would like to give thanks. Instead of offering part of the bread to their god, Aquila reminded the people present that their god had offered something for them instead. His only son, no less, who died that they might live. Just how a dead person was going to do all this wasn’t at all clear to me. But then Aquilawent on to say that after this person was executed, he’d actually come to life again. I could hardly believe my ears, I can tell you, but that’s exactly what he said! He’d gone to his father after death and this put him in a position where he could share his life with anyone who followed him, wherever they were and no matter how many there were of them. A bit of him living in each of them, so to speak, or at least that’s how I understood it. He concluded all this with a brief prayer, if you could call it that. For it was made up on the spot so far as I could tell, and spoken in quite a normal voice. In it he thanked his god for all this and told him how much we looked forward to the meal and everything that went with it. Then he sat down to a chorus of ‘yes’, ‘indeed’, ‘amen’ and the like and began to eat. In this spirit we all drank. However the Holy Spirit directs you, I pray that observing the Lord’s Supper with your small group will become a pivotal moment in your life together — one that you will repeat regularly, in remembrance of Jesus.